I stood by the fence looking back at the pasture my eyes following the dance of the falling leaves. I drew in the deepest breath possible. God’s timing. The words came from somewhere in my mind. I read or heard something in the past which had been stored in my memory for this perfect moment in time. Perhaps it was wise advice from some dear soul who would have no idea how much impact it would have on this day, at this time, in this situation. The gist of the message was that as humans we tend to get entangled in an artificial world full of worries over things on which we place an inflated sense of importance, or over which we have little to no control. We rush, we hurry, we worry, we haggle. We are driven to distraction over things that capture our time and attention, yet in the overall scheme of things, they mean little to nothing. At some point it is essential to find a place where we can return to God’s timing. That day I was in dire need of returning to God’s timing. Too many decisions, too much soul searching, too much pain, life had become tangled, and I literally didn’t think I could stand another day. I felt everything was spiraling out of control. I was fast losing confidence I could manage my own life, much less carry the main responsibility for my children as well. So there I stood in the peace and quiet of nature, the gentle breezes whispering through the trees and creating soft waves in the tall grass in the pasture. I gazed up at the clouds floating by mesmerizing me with their slow, hypnotic pace. 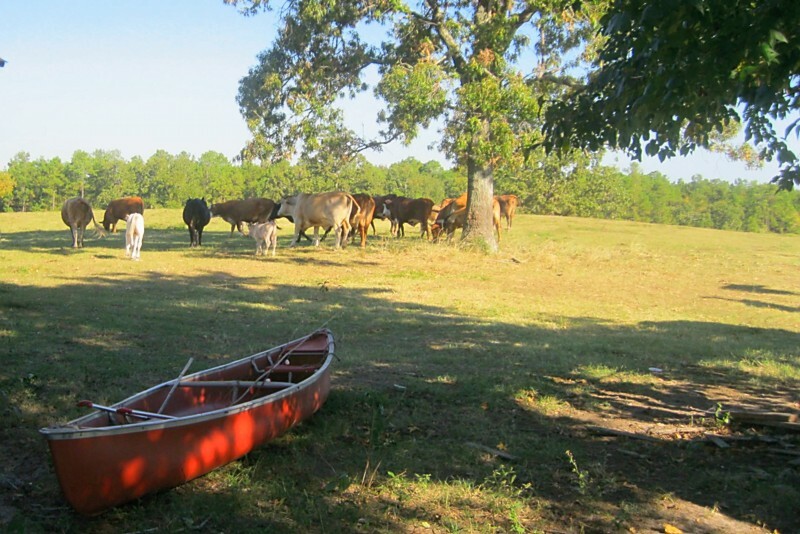 I watched the cattle, some grazing others stretched out lazily under a huge oak tree. God’s timing is slow, steady, purposeful, unhurried, peaceful. Several times I attempted to turn and go inside, but the call to stay overwhelmed my will to leave. The longer I stayed, the looser the tangled cords became around my heart and mind. My hands slowly relaxed releasing anxieties I could never find peace for on my own. Getting back to God’s timing reminded me that even in the midst of the worst circumstances, life is good. Amazing miracles surround me in the world He has created. For anyone feeling as if your task is impossible, whether it be overcoming loss or standing up to abuse, take heart. There is a God who in His power created this incredible, amazing world in which we live. Find a place where you can step away from man’s influence on His creation, and let your soul take it all in. The earth, the sky, the birds, the mighty oceans, the meadows, the mountains, the colors, the sounds. A God who takes such loving care to create a beautiful world with such minute details must care even so much more for His most prized creation…you. You are His workmanship. You have a soul capable of housing His Holy Spirit. He created you for greatness. You are not an accident of nature. He lives, He loves, He cares, He is powerful, and He will teach you how to live in times of waiting.